Trading conditions finally improved on August 8 since volatility picked up and there was a clear downtrend on that day. 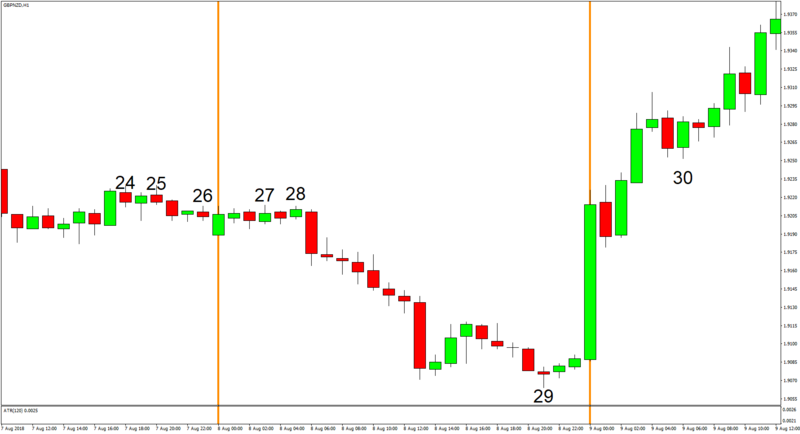 And fortunately, both Variants were able to open trades in the direction of the trend. Moreover, there was a very strong uptrend on August 9 and both Variants were happily able to open one trade (trade #29) before that strong uptrend even materialized. Quite naturally, both Variants had a good run. 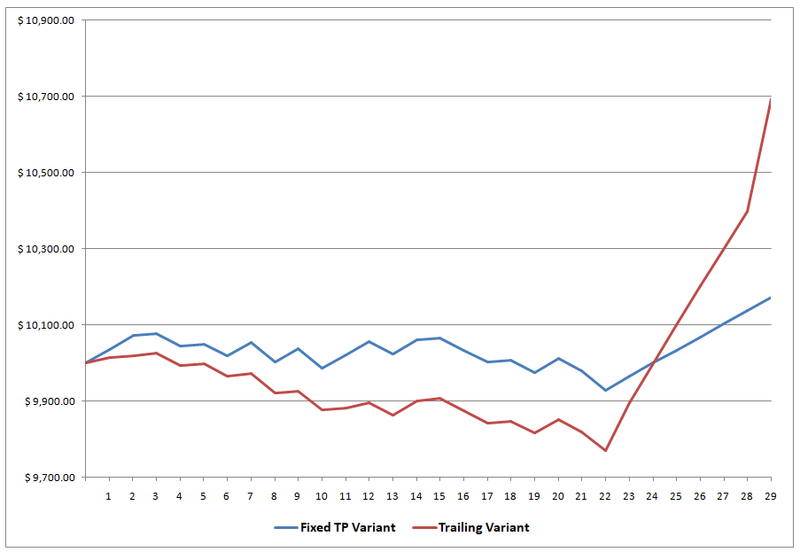 However, the Trailing Variant really profited more from the volatility injection. A ton more, in fact. As for specifics, the Fixed TP Variant is now up by 1.72% for the month, which is a good haul since it was only up by 0.68% previously. 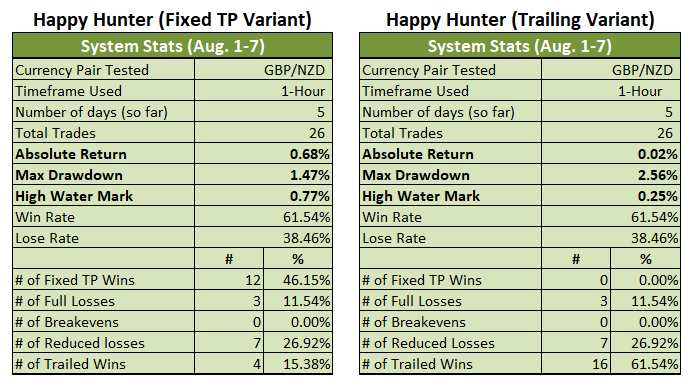 In contrast, the Trailing Variant was barely above breakeven previously with a 0.02% gain. However, the open trades from August 7 were closed at much better prices and the Variant rode the entirety of the uptrend on August 9. In fact, the Variant is still riding the uptrend since trade #29 is still actually open. 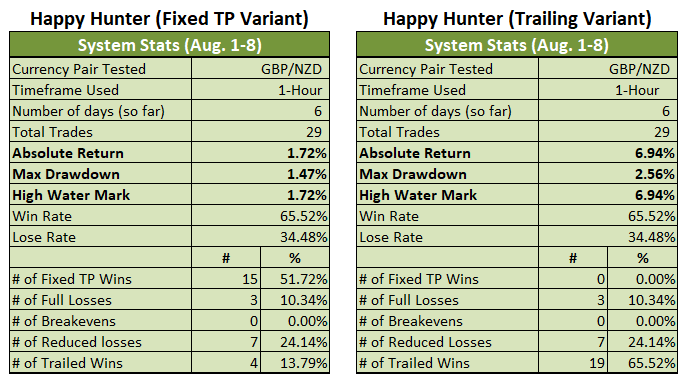 The trailing rules have already kicked in, though, and the Trailing Variant has a solid 6.94% in gains locked in.